1. We're both big fans of online zines (which is why we'll be creating our own soon)! Here are two that we have been published in: College & Cook features Kaitlyn's writing (pg. 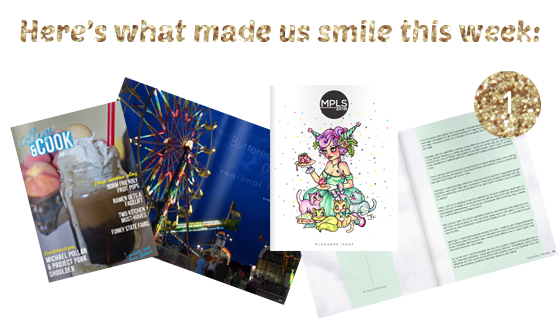 35); MPLSzine features Sarah's writing (pg. 42). 2. The Color Quiz. All you do is click on colors and, somehow, it's scary accurate. Try it out! Let us know in the comments if you got an accurate result. 3. These DailyGrace drawings. We love DailyGrace (and Mamrie and Hannah). So cool. Click here to see the rest. 4. Blog of the Week: Asha over at theoxfordowl! 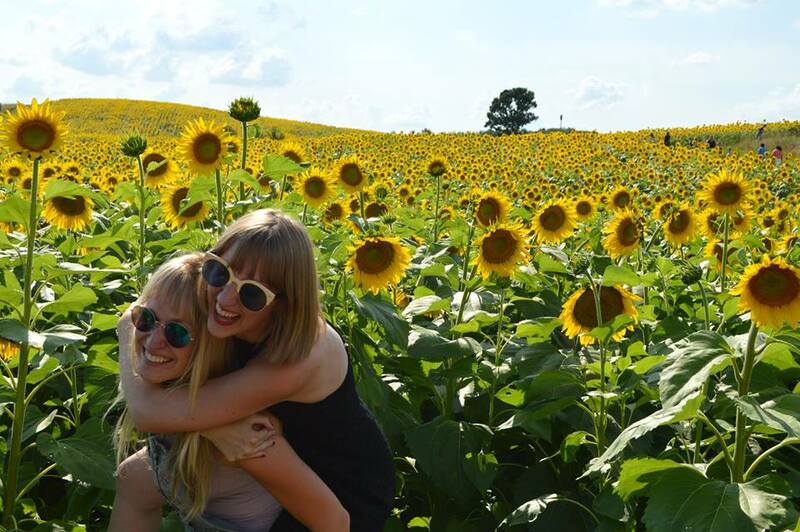 Her posts are wonderful, and of course we love our fellow owls :) Check her out! 5. JoGoLev and a cat? Be still our beating hearts. 6. 'Wake Me Up' by Avicii. We're loving this song, even though we can't pronounce the band name. PS - Don't forget to vote in the FINALS of our Fantasy Fiction Face-off! PPS - Check back on our blog tonight - we'll be liveblogging the Primetime Emmys. Check out our winner picks here.